And here you thought a coffee date with Apple CEO Tim Cook was expensive. Unfortunately, vintage Apple hardware commands a bit more of a price than a one-hour coffee chit-chat with Cook – albeit barely. An original version of the Apple-I computer – signed by cofounder Steve Wozniak himself – has managed to fetch a staggeringly high price at a recent auction, more than $200,000 higher than auction house Auction Team Breaker estimated as the highest price that Apple’s first-ever computer might have generated. The system, originally owned by electrical engineer Fred Hatfield, is one of 46 known units still in existence out of an original lot of 200 systems crafted up by Wozniak and late Apple cofounder Steve Jobs. The auctioned-off system even came with a letter from Jobs himself, offering Hatfield all of $400 if he would trade in his Apple I for an upgraded Apple II. The Apple I auction came to a final total of $671,000, all of $31,000 higher than the last Apple I unit sold by the same auction house last November. Previously, Apple I systems have set sales records of around $375,000 when auctioned; the market for original Apple devices has certainly ballooned up since that point, an auction for an Apple I motherboard held in June of 2012. 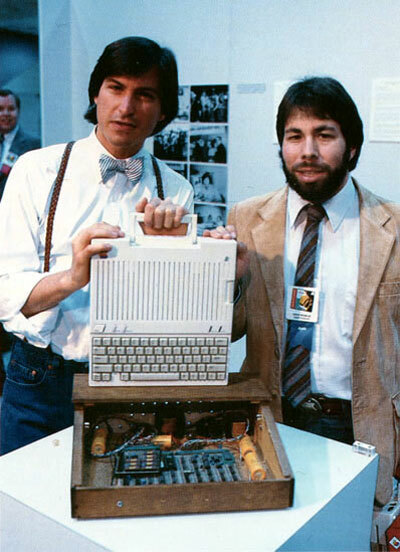 The aforementioned Apple I computer was originally set at a minimum sales price of $116,000. However, the ballooning up of the device’s selling price could be attributed to the simple fact that the Apple I remains a core part of the company’s history – “the physical artifact that traces this incredible success to its origins,” said Computer History Museum curator Dag Spicer in an interview with The New York Times. It’s not as if previous Apple I systems have always managed to sell high at auctions. According to the Times, a nonworking Apple I computer didn’t even manage to meet its reserve price of slightly over $75,000 when auctioned last year in London. Hatfield’s system is functional – helping it to draw a higher price, in addition to the colorful story behind the system itself. It’s unknown who the exact seller was who purchased the Apple-I system up for grabs, save for the fact that he’s apparently some kind of “wealthy entrepreneur from the Far East,” reports United Press International. The system’s seller is similarly mysterious; a “young American who works for a software company,” reports the Times, who brought the system to the auction cloaked in a blanket.